This is the summary of consumer reviews for First Alert 2-in-1 Z-Wave Wireless Smoke Detector & Carbon Monoxide Alarm, Battery Operated. The BoolPool rating for this product is Very Good, with 4.10 stars, and the price range is $44.97-$47.09. 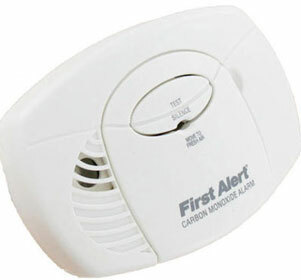 The First Alert 2-in-1 Z-Wave Wireless Smoke Detector & Carbon Monoxide Alarm is a reliable product to keep a family safe. 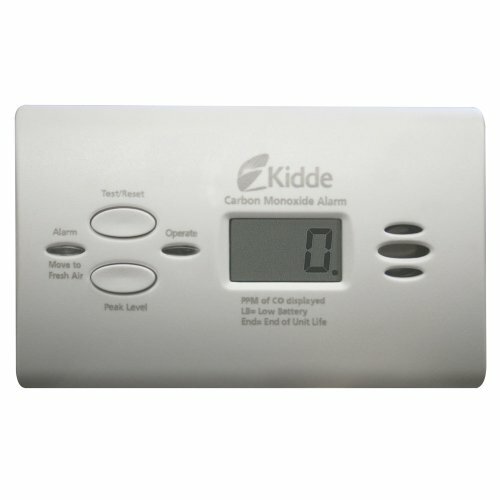 Through its use of photoelectric smoke detection and electrochemical carbon monoxide detection technologies, rest assured day and night that your home is being protected from any kind of danger. 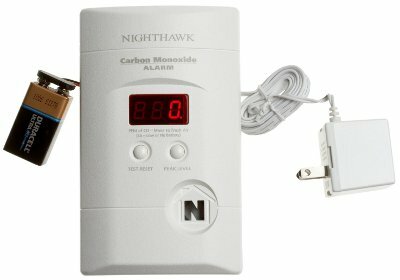 This product uniquely connects to any smart home technologies and hubs for integrated safety, and is easily installed to alert the homeowner via text, email, or alert when there is an emergency with smoke or carbon monoxide while away from the home. 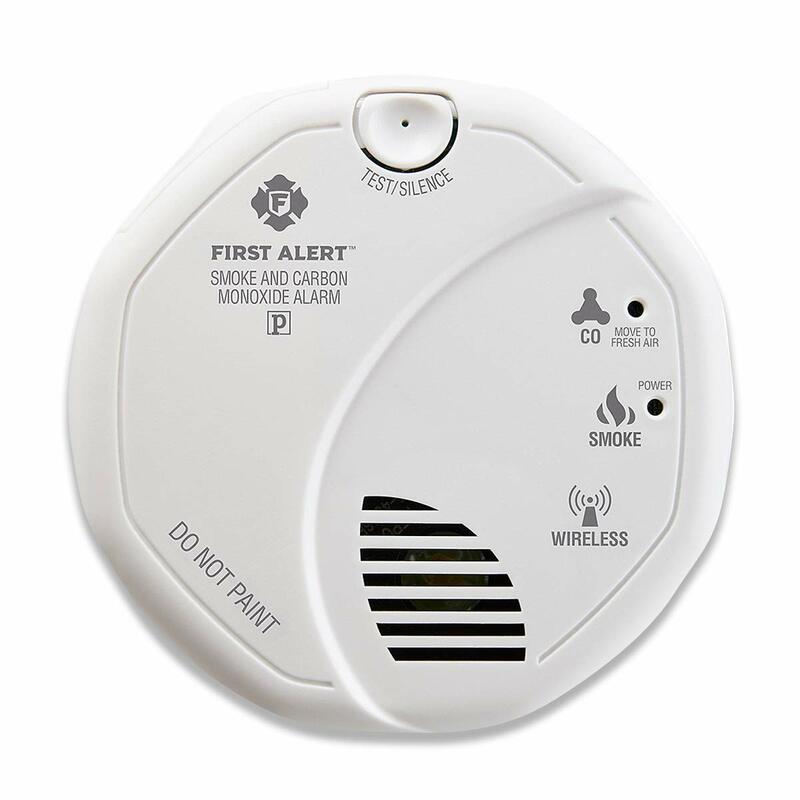 The alert system includes top of the line safety features like a tamper-resistant battery drawer and a test button for frequent battery checks as needed. The compact device is barely noticeable on the ceiling but is so critical in the safety of a family and a home. Customers say this product has repeatedly alerted them with a loud sound to smoke or chemicals infiltrating the home, giving them plenty of notice to get themselves and their loved ones to safety. Customers also say pairing the device with an existing home integration system is simple and fast. 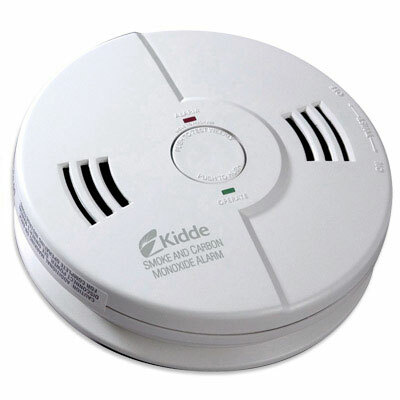 Some have had issues with battery life in the smoke detector, although it is unclear if this relates directly to the product, or is in fact a problem with the batteries themselves. Some users have said that just after a few months of having the product, lithium batteries died and needed to be replaced earlier than usual for this kind of product. Others say they had issues with the test beep going off without being triggered. 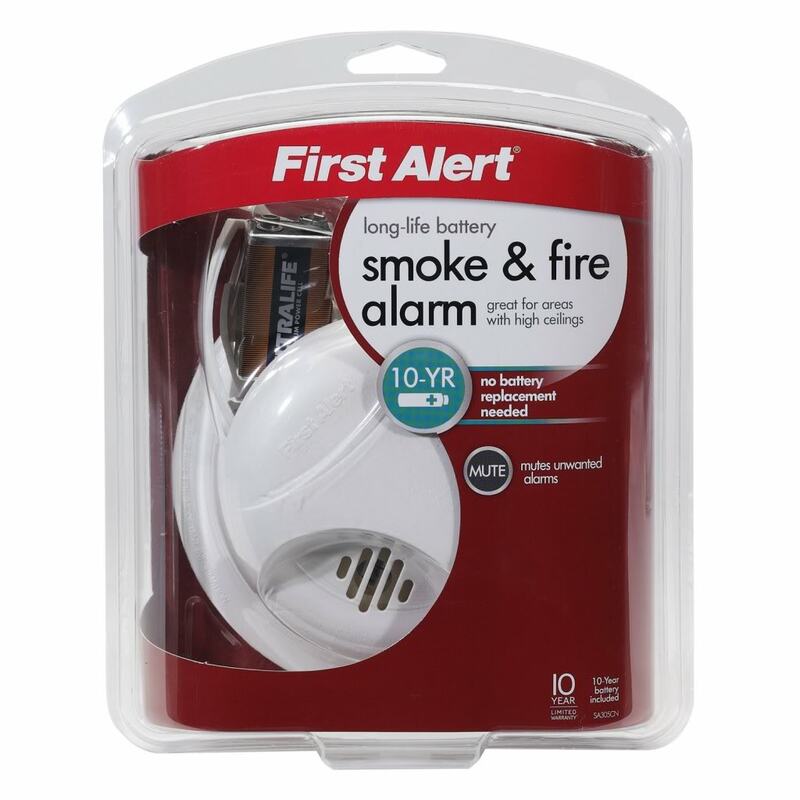 This product is a staple for any home as a first alert system to some of the most common dangers homeowners face. First Alert comes highly recommended with this trustworthy product. Very easy to pair with Samsung SmartThings Hub F-HUB-US-2. These wouldn't pair with a Samsung SmartThings Hub (v3). Bought two of these, which were fairly easy to pair in smartthings. Connected to my Samsung SmartThings by the 4th try. I've this paired to my Samsung SmartThings hub, if it's triggered, I'll get an alert on my iPhone, regardless of where in the world I may be. Guess i've to buy an additional samsung smartthings hub on order to get these to connect. 1. On SmartThings App select - Add a Thing. The trouble came when they did pair - they nearly brought down my network. You can hook this up to your SmartThings and the SmartThings will tell you the battery level (i'm not sure how accurate that's). Paired with a SmartThings Hub and it works as expected, I think. reporting the "heartbeat" regularly and when tested always seem to work. Doesn't get 5 stars because the switch didn't work well and it took me so long to pair. Maybe lithium AA battery will work better, will try it when replacing. works well with homeseer 3 on a win 10 machine. I bought two of these to work with a Smart Things Hub. Haven't had a chance for it to detect smoke, thankfully, but seems to work well. we've it installed in the garage above the work bench since thats the place where i charge my lithium batteries. I've had three of these installed on my SmartThings setup for a year now and they worked great so far until last month..
two years now and still working on the same set of batteries. This device, along with the Ring Home Security System and the Ring Professional Monitoring system potentially saved my life. 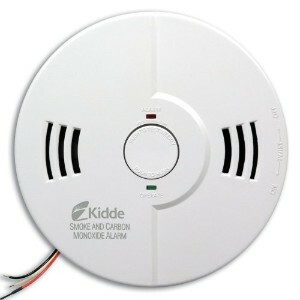 I purchased this CO/Smoke detector/alarm to integrate with the RING home security system. CO gas is a silent killer, and I could have died for it not for this detector, the Ring Home Security System, and the Ring Professional Monitoring system. Because I've my Ring home security system monitored professionally by the Ring staff, my cell phone rang within a minute of the alarm. I recently replaced my old alarm system with a Ring alarm system, the must have feature for me was a Smoke/CO detector that was monitored. I purchase these to pair to my ring security system and all is well so far. If you've the Ring security system, do yourself a favor and get a few of these. Setup was a breeze, and if you've monitoring with Ring, you can alert local fire response automatically. Hopefully I'll never have to update this post to tell you if it works in a fire or CO emergency, but as for installation and compatibility with the Ring Alarm system I can tell you it works great. Not sure why I see recent comments saying that this doesn't work with the Ring alarm system. These have only been installed for eight months, batteries should last a LOT longer than that for a smoke detector. After installing new batteries, the detector continued chirping. It's been only 3 months since installed but it started beeping as if the batteries were low. This didn't work for me. Also I put in new batteries three times and in less then two weeks it was beeping to alert me the batteries were bad. I've had two of these detectors chew through their AA batteries inside of 6-months, and both began to give false alerts as the batteries went bad. I was using the Duracell batteries that shipped with the detectors, so I suppose its possible the batteries were old; nonetheless, I'd have preferred a longer life span on the batteries. Whenever the batteries are inserted it beeps continuously. Started with the battery chirping low at 77% which was about every 2 months - now it still chirps low at 77% but the batteries only last 3-4 weeks at most. Replaced with new batteries but the beeping came back only a few hours later. Installation of these detectors is pretty much the same as more traditional smoke detectors, but you get the added safety of having them integrated into your home automation system, linked to security lights, and Pro Weiding real-time updates to your smart phone to keep you apprised of issues with smoke or carbon monoxide. 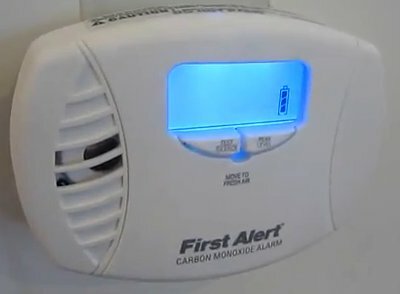 I bought 2 of these detectors and within a few months 1 of them started sounding an alert in the middle of the night for no reason. Connecting to my Z-Wave hub (SmartThings) was easy enough, instructions were clear. The unit has had new batteries placed inside, been removed and re-added to SmartThings multi-times. Bought 6 of these during the holiday sales. Bought in December, stuck in alarm mode in April. Made a big mistake and bought 4 of these. Jan 12, 2018 Review, titled - Excellent product, easy to install. Works great in my home automation system. It integrates well with my Nexia smart home system. You need to pair them to a smart home hub or security system. I replaced my regular Smoke/CO2 detector in the kitchen, since I've been adding more items to my Smart Home system. A little more detail: I paired 4 of these to my Abode home security system (easy). the battery access door is convenient and they connected to our Smart Things home easily. 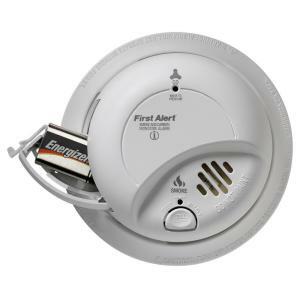 When smoke started, the fire alarms were triggered and immediately triggered the Abode security system which is configured to sound those alarms as well and send me an attention grabbing audible alert and pop-up notification on my phone. When connected with a hardwired system, I can only see these Z-Wave alarms only ADD in safety for your home!. Rushed home to nothing happy there was no fire but upset with this smoke alarm. Another great product that integrates into my self monitored home security/safety. - Easy Integration with Smartthings Hub. They paired pretty easily with my smartthings hub and worked pretty reliable. While the Hub searches, press and hold the detector's test button as you slide the battery tray back into the device. Then While the Hub searches, press and hold the detector's test button as you slide the battery tray back into the device. I haven't tested the alarm functionality, but assuming that part works fine, this device is just what I was looking for. Using the test button only updates the test status. One warning though, this device doesn't work with the Wink Hub, so look elsewhere if you've Wink. After getting the device set up, I was able to test the integration with the hub by pressing the test button the smoke detector. Device was easy to configure and works with our Ring alarm system. Connects to hub as 'unknown device', so no features are available through Wink.